»» Download DarkWave Studio for free! DarkWave Studio ::: a computer program that allows users to work with audio files. Using DarkWave Studio can create and edit audio files. 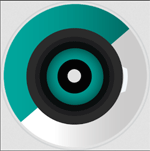 »» Download Copy Handler for free! Copy Handler ::: a computer program that allows users to manage files and folders. Using Copy Handler can copy and move files and folders from one location to another. »» Download Bug head for free! Bug head ::: a computer program used to play music. Using Bug head can play audio files, audio CDs or listen to radio stations. »» Download Tray Radio for free! Tray Radio ::: a computer program used to listen to radio online. Using Tray Radio can listen to radio stations worldwide. »» Download Media.Net for free! Media.Net ::: a computer program that allows users to play multimedia content. Using Media.Net can watch DVDs, videos taken on your phone or can listen to audio CDs. »» Download Syncthing for free! Syncthing ::: a computer program that allows users to share files. Using Syncthing can share any type of file. »» Download InViewer for free! InViewer ::: a computer program that allows users to view photos. 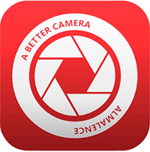 Using InViewer can manage, compare and view all your photos. »» Download Ubiquitous Player for free! Ubiquitous Player ::: a computer program used to play music. Using Ubiquitous Player can play audio files, audio CDs or listen to radio stations. »» Download Kaspersky Safe Kids for free! Kaspersky Safe Kids ::: a program for different devices used to monitor and protect children. Using Kaspersky Safe Kids can control what children do when use the computer or the mobile devices. »» Download Bimil for free! Bimil ::: a computer program that allows users to manage passwords. Using Bimil can manage in one place all your passwords.